Alice Hoffman seems guided by magic—not only because she often writes about it, but because her literary success is otherworldly. Name a genre, and Hoffman has tackled it in her 40-year career: fiction, nonfiction, short stories, children's books, screenplays. In 1998, her popular novel Practical Magic—about two sisters from a long line of witches, Sally and Gillian Owens—was made into a movie starring Sandra Bullock and Nicole Kidman. 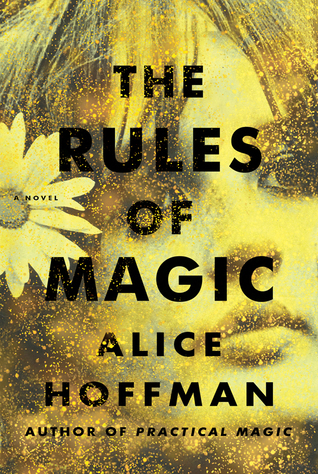 This fall Hoffman returns with The Rules of Magic, a prequel to Practical Magic. Set in New York City in the 1960s, the novel follows an older generation of Owens siblings: Franny, Jet, and Vincent, who are cursed in love but cannot escape it. Hoffman talked to Goodreads contributor Kerry Shaw about how she works her lyrical, literary magic. Goodreads: What inspired you to write this prequel? Alice Hoffman: I've always wanted the best for this family, and I wanted to know more about their past. Plus, this is just my favorite time period, and I've been playing around with it. But it's not like I just sit down one day and decide I want to do something. My process is more organic: I take notes and write different scenes and characters, and all of a sudden I feel like this might be a book. GR: Reading The Rules of Magic, I felt like I was transported to another world. AH: Thank you. That's exactly what I want you to feel. I don't want you to feel like it's a history lesson because I'm not a historian. I want you to feel like you're in the place. GR: I saw a comparison of The Rules of Magic to Patti Smith's Just Kids. Do you agree with that? AH: Oh, I love that book! Her writing is so brilliant and beautiful. It is kind of the same time period and area—she wrote a lot about Chelsea and the Village. I think it's nostalgic for that time when people were daring in their art and so political and everything felt new and fashion was insane and people were just much freer. It's hard to have that kind of freedom in the world right now. GR: Speaking of freedom, you once said that "the good thing about being a girl in the 1950s and '60s from a working-class family is that there weren't as many expectations of me. I had the freedom I could do something I could fail at, to be a writer." AH: I just got the chills. I forgot I said that. It is so true. My family had no expectations of me, none. I didn't have to go to college. I could do whatever I wanted, and so I never felt like I had to succeed. But that was kind of the '60s mentality, too—you didn't need to be published, that was mainstream. You just wanted to be an artist and create something. GR: Did your family have a hippie streak, or was that the generation? AH: My mother was definitely a Bohemian person—I first went to Greenwich Village with her. But I also think it was the generation. Back then, girls weren't expected to play soccer or become doctors. In a way that is horrible; so many doors were not open. But for me, it kind of worked. I didn't have expectations that I would be able to support myself as a writer or to be a published writer. That was freeing, so I could just write what I wanted to write. GR: So when you moved across the country to study creative writing at Stanford, were you just thinking, "Oh, this will be an interesting intellectual experience?" AH: Well, I had never heard of Stanford. My brother lived in San Francisco, and he told me there was a school there and I should apply. So I did, mostly because I wanted to go to California. But I did want to be part of a writing program because I had always worked, and I felt like it was the only time I'd ever have to write. And I am still a big believer in writing programs. Mine was a year long, and now MFA programs can take four years, which I think is way too long. It takes up a lot of time, and it's very expensive. I'm more of a believer in low-residency MFA programs because you can have a job and still get your MFA. GR: Your first novel was published in 1977, when you were a student at Stanford. And you've been writing about a book a year ever since. That's a long time to be in the spotlight! AH: It is. For me—and I think for most writers—you're a reader first and then it just happens. You so love it that you want to be part of it, and you start writing. GR: Whose writing do you love to read? AH: I don't read fiction while I'm writing fiction because I don't want to get someone else's style or voice in my head. Also, a lot of the time that I used to spend reading, I'm writing. I think Toni Morrison is the greatest living writer. I love her work, she's a genius. When I was starting out, I loved Brontë. 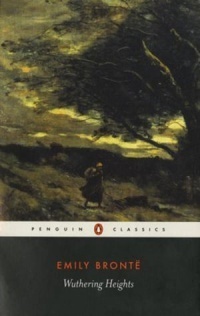 Wuthering Heights is my favorite book. I love Penelope Lively. I grew up reading a lot of fantasy and science fiction and often go back to those books. 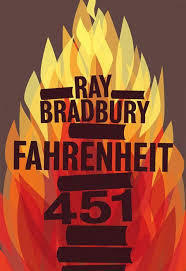 I had terrible writer's block after 9/11 until I reread Ray Bradbury's Fahrenheit 451. 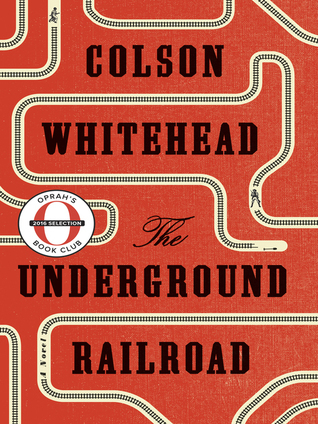 The book I read this year that I loved is The Underground Railroad by Colson Whitehead. GR: Has your writing process gotten more efficient? Are there things you know now that could have saved you time when you were starting out? AH: No. In fact, every time I start a book, I feel like I have to relearn how to do it all over again. I look at all I've written, and I'm like, "Who the hell wrote that? It certainly wasn't me!" One thing I'm better at is cutting things. And knowing that sometimes the writing you love the most is something you've got to get rid of because it doesn't serve the novel. Weirdly enough, I think I was most productive when I had little children. I've always said moms with little children can do a whole day's work in, like, an hour and a half. You just have to focus so intently, and so I was very, very fruitful. GR: You've mentioned the importance of giving yourself deadlines. AH: Yes, that's really important because it is so hard to finish things. But it's not like it's brain surgery and you have to do this. You don't have to write a novel, nobody really cares if you do or not. I was so lucky. At Stanford, in the creative writing master's program, I had a professor who said he wanted us to write 50 pages a week, and we all freaked out. And that first week, everyone went insane writing. When we came back, we handed in those pages. He looked at us and said, "I just said that to get you to write! I don't really care." But I realized that if you have that kind of deadline, you sit down and you write. So in practice, I might say to myself, I'm going to do ten pages a day. I don't always make that, but I go, Well, today I only did five, maybe tomorrow I'll do ten. GR: I've read that you don't look at your work right away. AH: It's so easy for me—and probably other writers—to write something and think, "This is garbage, I'm throwing it out." But if you give yourself time, you can write your way into the story. So I try not to read it until I have about 50 pages. Then I feel like I have enough distance, and I'm not as highly critical of myself. GR: Do you ever show your first drafts to friends or family? AH: Not my first draft because it's not anything. I'm a big believer in revision, so I might show them an early draft, but never the first. GR: Who are your first readers? AH: Someone who loves my work and will be nice. Later on I'll give it to people who will be crueler and say, "Oh, I didn't like this" or "This character doesn't work," or whatever. If you get too much criticism at the beginning, it's very easy to feel overwhelmed and like it's nothing. GR: Have you noticed a change in the industry toward women writers since you began writing? AH: I don't think women are treated the same as men in anything, so why would they be treated the same in literature? I think that there's a different standard, and it's difficult for women, even though, weirdly, it's women who read the most fiction. I don't know what the right word for it is, but I think that some women writers are not looked at with the same kind of respect or seriousness. GR: I have some Goodreads community questions for you. Holly would like to know what is the best piece of constructive criticism you've ever received? AH: To just sit down and write every day without too much thought. I don't mean without planning—I believe in making outlines. GR: MJ's question is: Do you ever hide any secrets in your books that only certain people would know about? AH: Yes. And I'm not telling you what they are. GR: Oh gosh, now I'm curious. Would your family and editors know? AH: I don't know who would know. I think they are more secrets for myself. GR: Interesting. Robin would like to know: Of all the books you've written, which is your favorite and why? AH: I always feel like it's going to be the next one, and that gets me to write it, but I have a couple of favorites. One was Seventh Heaven. It was about Long Island in 1959, 1960. The main character was Nora Silk, a single mother who was in some ways modeled after my mother. Also, I wrote a book for teens called Green Angel, about a girl who lost her family in a disaster and writes her way back to life. I have to say The Rules of Magic feels special to me, too, because I got to return to a world that was really special to me. I loved Practical Magic, loved writing it. One of the things I loved about Practical Magic and The Rules of Magic was this connection between sisters who are friends. As a reader, it's so rare to read books where women are friends and sisters. GR: That's true. There were a few moments where I thought the story might veer off into fights between the females. But it never did. AH: No, I was really interested to see what friendships were about, what relationships between women were about. I don't have a sister, I don't have a daughter. And when I write, I kind of get to experience that. I feel very lucky to have had strong relationships with my mother and my grandmother. When I was starting out, my grandmother gave me half of her social security so I could work part-time instead of full-time and finish a book. For people who want to be a writer—and maybe this is true for anything you want to be in life—if one person believes in you, that's enough. And my grandmother really believed in me. Thank you for this! I love Alice Hoffman and wanted to get a question in for her but I lost track of time. If she sees this - Alice, what does one of your outlines look like? How do you organize yourself so you can just sit down and write? How do you get others to stop and give you the time? I fell in love with your writing the first time I read "Turtle Moon". I can't wait to read your new book! I had a man who I did not know was a real magician look into my eyes and send a bright light into my eyes. Next, a purple living entity appeared before my eyes and I could see it was breathing where ever I looked I saw it for four days. After that everything I concentrate on now comes into reality just by my thoughts. 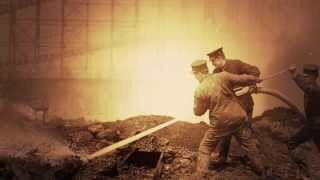 I was wondering if you have ever experienced or heard of anything like this before. So far I have found no one else who has had a real-life experience like this. The person who did this to me was more famous than Elvis, Oprah, Trump and Michael Jackson all rolled together he kept "this secret" of his real power and being a real magician his whole life, he obviously at that moment transferred some of his mantle of power to me. I was just wondering if you have heard of such a thing? I love getting everything I want but I have to be careful what I concentrate on getting. The world around me changes often, it is no longer stable, it responds to my thoughts. A simple yes or no will suffice: have you heard of such a thing? Seventh Heaven is my favorite. Alice Hoffman and I must have grown up a stone's throw away from each other (seriously, probably the next town over on Long Island), and I'm just a couple years older. When I first read Seventh Heaven, I could not believe that someone could describe the landscape of my childhood so utterly perfectly. Loved Practical Magic. My 11 year old cat is named Gillian in honor of your book. Your new book is sitting next to me and I can't wait to start it after I finish my library book tonight. Magicians and purple entities and getting whatever you want by thinking it into being??? Who's editing these comments?? Please send William the name of a good psychiatrist, for the love of God! As a novice writer I am, I am inspired by the interview and understand from it some formulae to be a good writer. 1. The process shall be more organic. 2.Observe different scenes and characters, take notes and write. 3. Don't copy someone style or voice, make it your own. 4. Decide to write 10 pages daily, no matter if you finish 5 pages in a day, next day you may write 10 pages. 5.Decide deadline to finish writing as it is really important because it is so hard to finish things. 6.Give yourself time, you can write your way into the story. Try not to read it until have about 50 pages. 7.Be a big believer in revision. Learn, relearn and do it all over again. 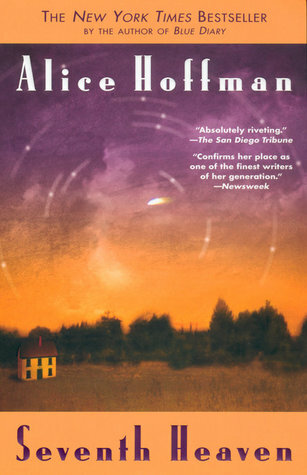 There is a short list of books I could not put down and Alice Hoffman wrote several - Practical Magic , Seventh Heaven, The Probable Future, Here on Earth. Alice-thanks for those hours of enjoyment ! I am in the midst of reading the new book and it's fun. 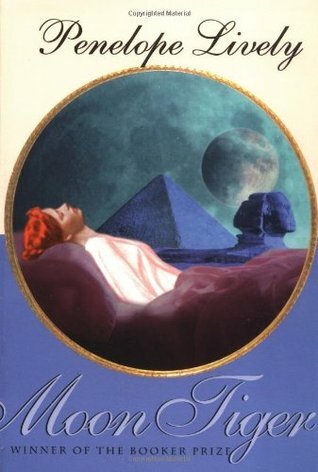 However, it's not great literary fiction as in The Dovekeepers, which is one of the best books I have encountered. Don't remember which book I read first, but after that first one, I began to read anything I could find by Alice Hoffman. I love all of them, the realm where the commonplace fades into the magical. Good morning, all. I'm so intrigued by the person of Alice Hoffman. I share a similar vision with her. I am currently working on a project, which I want to be published, as well as acted as a movie. It's like the Harry Potter series, but quite distinct. However, I'm in need of sponsors, and partners, especially in the area of lexicography, publishing, and movie production. I'm also in dire need of financial grants to make it a reality. I want to partner with such people as Alice Hoffman, J.K Rowling etc, as well as corporations like Walt Disney, Warner Bros, etc. Please, make this dream a reality. Thanks for your support. For more enquiries, contact me on godswillben12@gmail.com. You can also call +234(0)-909-6889-179. As a reader, it's so rare to read books where women are friends and sisters. Jeanne wrote: "I've seen the movie of Practical Magic but haven't read the book. Should I read that before Rules of Magic? (Both books are on my TBR pile now!)" Jeanne, The Rules of Magic is a prequel to Practical Magic so if you have both in your TBR pile you can read the former first. Enjoy! Gary wrote: "Magicians and purple entities and getting whatever you want by thinking it into being??? Who's editing these comments?? Please send William the name of a good psychiatrist, for the love of God!" Wonderful interview, fabulous author of many books on my Keeper Shelf. 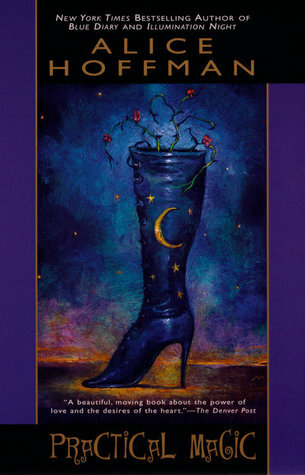 I just ordered your new book and look forward to revisiting that wonderful magical world you created in PRACTICAL MAGIC. Thank you, Ms. Hoffman. Jeanne wrote: "I've seen the movie of Practical Magic but haven't read the book. Should I read that before Rules of Magic? (Both books are on my TBR pile now!)" Yes. I originally thought no, but I've noticed a lot of the negative reviews were because people had expectations of where the story was going that they wouldn't have if they'd read PM first. Awesome writer !!! One of my favourite! I saw the movie "Practical Magic" long before I knew about the book. Love the movie - it's one I've seen multiple times, a go to when nothing else suits. But this is the only instance of movie vs book where, for me, neither weighs above the other. They are both amazing; the book has a richer, deeper reach. They are different - don't expect them to be the same; enjoy each for what they are and you will have two amazing favourites to fall back on and rediscover over the years. Looking forward to joining Franny and Jet in their younger years, and to meeting Vincent.